Danielle Fishel is best known either as Topanga on "Boy Meets World," or as the host of the late Style Network show, "The Dish." Either way, the native of Mesa, Arizona, USA is a bubbly and fun personality. This blog post takes a look at this unique personality. ^ from: (Twitter) - Oh, look! It's Danielle Fishel! It's Topanga! A little girl named Danielle Christine Fishel was brought into the world on May 5, 1981 in Mesa, Arizona, USA. Little Danielle would grow up to become an accomplished actress as well as a successful TV show host. Many people know her best as Topanga on the hit sitcom "Boy Meets World." I would follow (and love) her as host of "The Dish" on the Style Network. No matter how you came across Danielle Fishel, she is funny and bubbly. In my research of this topic, I learned she's a petite- 5'1". So to you petite ladies reading this blog post... Danielle is one of your fellow petites! Because I know her in "The Dish" than I do in "Boy Meets World," let me just say I began to appreciate Danielle Fishel's personality and charm on "The Dish." The Dish was a show that offered funny takes on some of the most interesting bits in entertainment and in fashion. As Style Network was running out of shows that highlighted on fashion, it was refreshing to see this show each weekend. The one thing I hated was that the show was moved to a certain time slot I felt I wouldn't be able to see regularly. So the sinking ship of Style Network had The Dish as its saving grace. Danielle Fishel was a wonderful host of a wonderful show. For those who may remember some of my past posts, I included Danielle Fishel among the Mountain beauties of my American Beauties posts. ^ "When Bad Fashion Happens To Good Celebrities - The Dish"
In case you're wondering, I made mention of The Dish in my "StyleSpace by JBM" blog post called "Remembering Style Network." A link to that post will be included later in this blog post. Honestly... how can you NOT love Danielle Fishel? I think Danielle Fishel is not only lovely in looks, but also in personality. She isn't going to blow you away with a bodacious body or have any brash personality. However, she will astound you with her unique and quirky personality. The demise of Style Network meant it was sad to see "The Dish" go. I loved watching that show and what Danielle brought to it. I have great respect for you and your work. Best of luck to you in all of you endeavors. Would I Like to Meet Danielle (if given the chance)? Absolutely! Especially after praising her on various levels, I'd surely would like to meet Danielle Fishel. ^ This blog post takes a look at petite fashion. ^ Danielle Fishel is 5'1". What other ladies are beautiful despite being short? Take a look at my world tour of petite beauties! ^ Find out whom I consider the loveliest ladies among the Mountain time zone here in the United States. You know I included Danielle Fishel as one... who else did I include? Find out by reading my post! ^ Danielle Fishel was host the host of "The Dish." I pay some tribute to Style Network in this post. And that's it for this blog post. 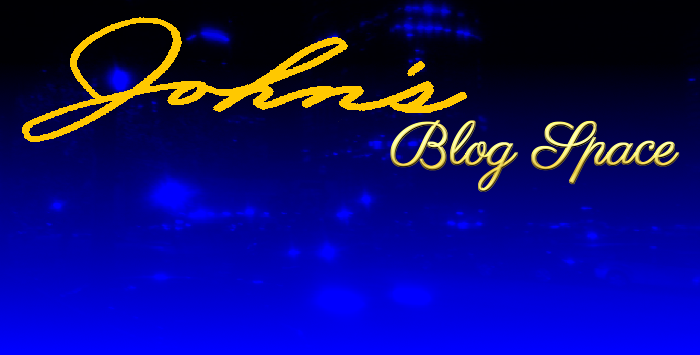 It is a pleasure of you to visit "John's Blog Space." Please make sure to Subscribe and Follow if you enjoy my work and want to be in the know for my latest posts. Thank you for reading! Take care and be well.